Instability in precious and base metals prices during the past three months has pushed investors to find alternative objects of affection, with zinc quickly becoming a favourite and hitting near three-year highs, a report published Tuesday by the London Metal Exchange shows. Prices for the metal, mainly used as a protective coating for iron and steel in construction, have jumped almost 17% since early May, hitting $2,410 a tonne late July amid worries over mine supply and falling warehouse stocks. Experts remain bullish on the metal outlook despite a temporary pullback in prices in the last two days. Zinc fell Wednesday for a second day in London amid expanding stockpiles and speculation that a strengthening dollar will slow demand for the metal. But bets on rising zinc prices, or long positions, accounted for 30% of total open interest as of Aug. 1, the most among the six metals traded by LME, according to its Commitments of Traders report. Money managers are net-long all of the metals, the data showed. And according to analysts, such as Naveen Joshi, the level of underlying demand for zinc, coupled with the fact that new mine supply would not be added anytime soon could lead to the emergence of tightness in supply side over the next two years. 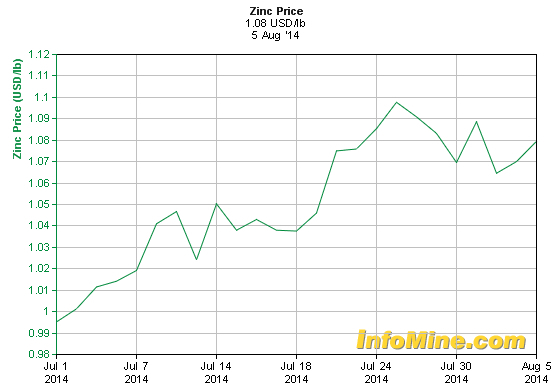 “Zinc has now become one of the hottest commodities in the world. 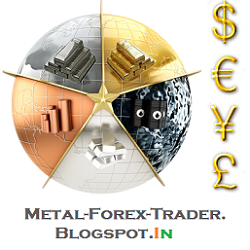 The global imbalances with regards to higher demands and supply constraints would make the prices of the metal go higher not only in the short term but also long term,” he writes. LME zinc stocks have increased 1.5%, the most since April 1, to 668,625 tons on a jump in New Orleans.